Powdery mildew (PM) infection of cucurbits is a major problem facing commercial New Zealand growers. Resistance to demethylation inhibitor fungicides is widespread so, there is a demand for new-generation bio-fungicides that can provide durable control alternatives in both conventional and organic systems. 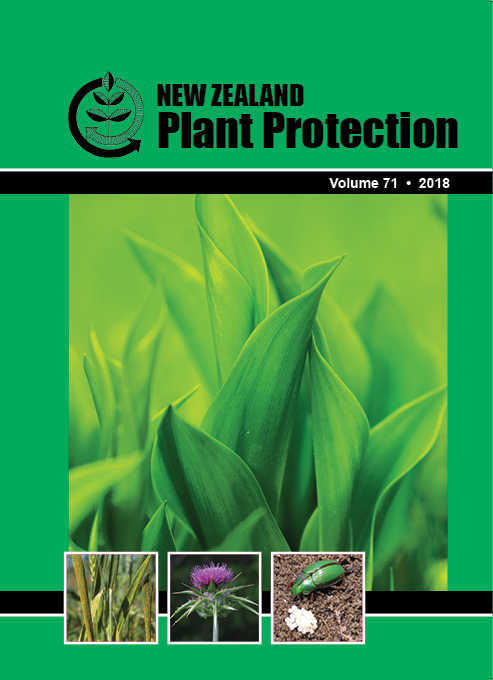 A wide range of milk products, plant and animal fats/oils, and natural plant elicitors were tested for their ability to control PM on squash and zucchini plants in a series of four glasshouse trials. The most promising product tested was anhydrous milk fat (AMF), in formulation with an emulsifier (Alanate 191â„¢ or PanodanÂ® AL10), an antioxidant (Grindox 122â„¢) and/or other products (Synertrol Horti oil). These treatments were as effective as commercial fungicides in controlling PM, but there were significant issues with plant health. Future work will focus on reducing concentrations of the active ingredient to produce an effective formulation that is not detrimental to plant health. Soybean oil, coconut fat and olive oil formulations with PanodanÂ® AL10 and Grindox 122â„¢ also gave effective PM control with minimal effect on plant health. The above email may not work because Maureen has now retired.